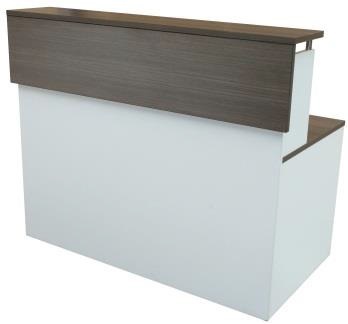 This reception counter features 3 piece display frontage, full length sides and inset top. Available in any of the custom colours as two tone (as illustrated) – or solid all over colours. 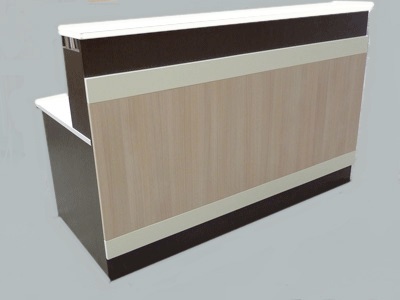 Once you have ordered your required counter size, someone from our sales team will contact you to discuss your preferred colour scheme. 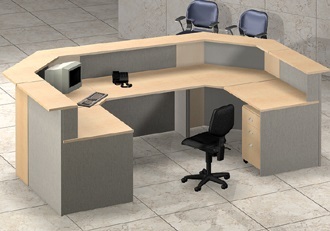 Need a special size and configuration? Our in house designer can make a design to suit your budget and your specific needs. 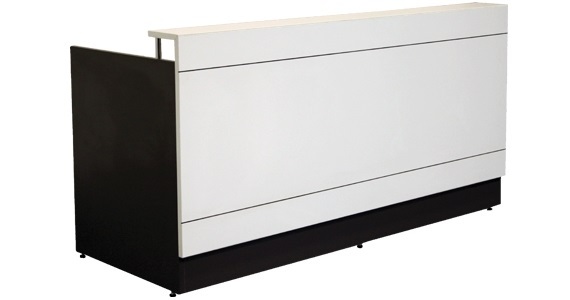 The Linea range also includes a wide range of customised desks, cupboards, fixed and mobile pedestals, filing cabinets, etc. All of our custom counters are made in Sydney and we deliver and install to all Sydney metro areas. 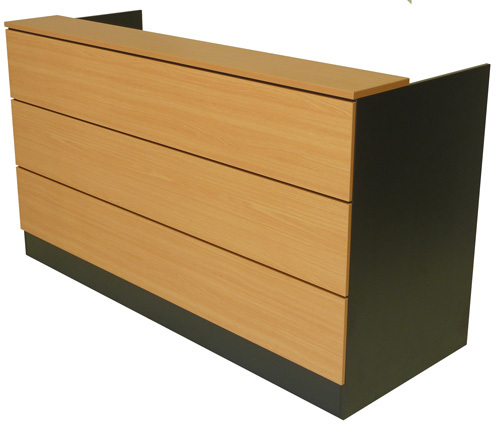 We manufacture to the highest standard using melamine, 2mm durable edging and all our designs carry a 5 year commercial warranty.